The Takata airbag recall has been the bane of most automakers for the last few months. The dangerous and wide ranging recall has just been more unneeded strife in a year that has already been dominated by safety concerns. But the feds don't think Chrysler is on the stick when it comes to timing of the recalls. And that's because they've been taking forever. 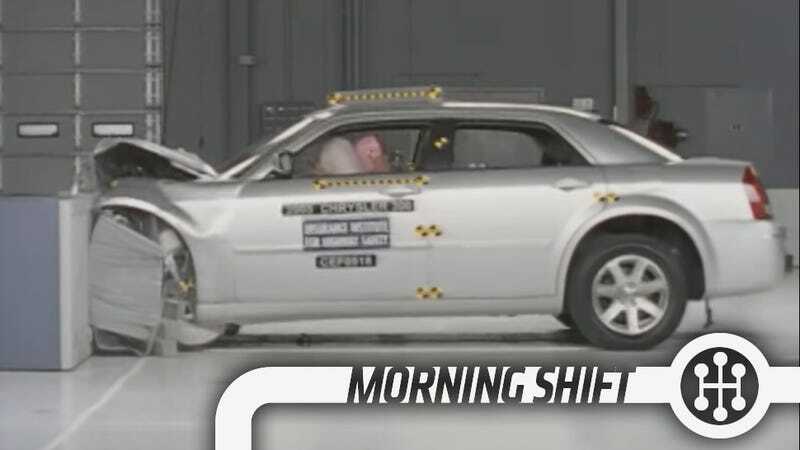 Chrysler decided to issue a recall for 371,000 cars with airbag inflator issues in June. They didn't plan to inform customers with the cars until December 19th. NHTSA isn't thrilled with that and has told Chrysler that they need to inform owners on December 1st, which is when Takata will ship replacement parts. NHTSA's deputy administrator sent a letter to Chrysler, reiterating that this is a dangerous situation that needs to be remedied immediately. NHTSA says that this has happened in the past with Chrysler, and that they have waited to inform customers on other recalls. In this case, urgency is better than sloth. While you still see a lot of Facebook and YouTube commenters crow on about the bailouts of the US automakers and about how our tax dollars are still being used to build Corvettes and Hellcats and blah blah blah, what isn't really talked about is the money that the Canadian government had in the game. Canada's Auditor General has reviewed the bailouts and found that there was not the level of research or even slight understanding that should have been given to an investment of this magnitude. In fact, it was found that Ottawa just kind of handed over cash without reviewing the plan for restructuring the automakers, which was a key component of giving them the money. Basically, Canada forked over $8 billion without proper research. Oops. Thankfully, the industry has largely recovered and they have gotten a majority of their money back. Still, not ideal. Hey, you know Uber, right? It's the on-demand car service that is all sorts of awesome if you don't read any of the press about them, like how they want to smear journalists or how they don't really care when your driver kind of kidnaps you. Well, Uber is finishing a round of funding, and it is said that they are now worth a staggering $40 billion. And that's because it keeps growing. I use Uber a lot (I know, I'm now a hypocrite, but it's great for getting around where I live when I can't drive! ), and every single driver I talk to loves it. A number of them are former livery drivers who found they could just make more money Ubering and that it was easier. And that makes sense, since Ubers ridership is skyrocketing and revenue is expected to be nearly $2 billion this year. The Mazda6 had a notorious recall for spiders in the fuel tank a little while back. That was funny. This time, the recall is for 100,000 cars and has to do with a defect in the tire pressure monitoring system. It's pretty simple, just a reprogramming of the system. The dealers will take care of it at no charge. NHTSA was investigating concerns on 600,000 Ford and GM cars, but has decided to issue no recalls at all. For GM, the investigation was in to the 2004 Impala, and they weren't investigating why people owned the car in the first place. They were actually investigating case of unintended deceleration, but it was determined that the two reported cases that it happened were driver error in rental cars. Which makes sense, because that's the only time you should be driving an Impala anyway. The Ford probe was in to the Crown Vic, Marauder, and Grand Marquis, where a heat shield could rust and jam the steering. But upon further investigation, it was found that six of the ten complaints that came in were from the same police department. And they fixed the issue themselves. Why doesn't Chrysler see the urgency in telling customers about the recalls for the Takata airbag issue? What do you think?